Planning a wedding can become extremely expensive. 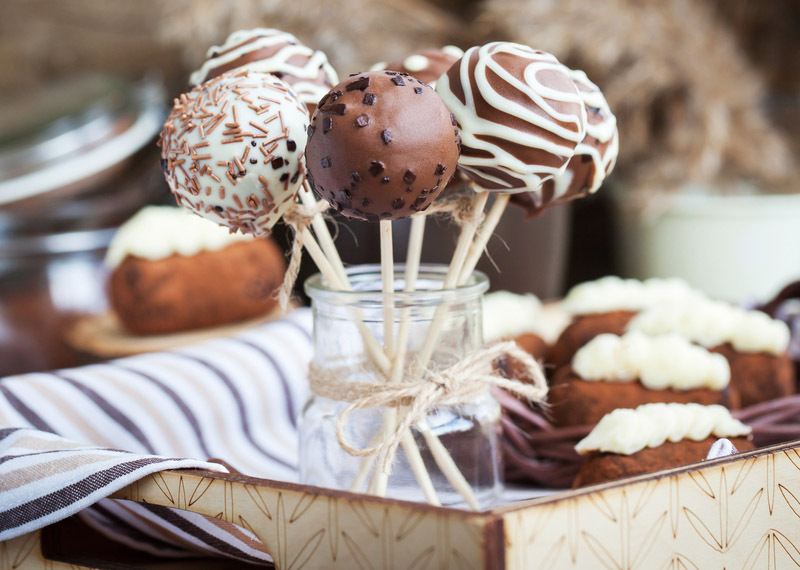 Today Claire shares a tip on how to create wedding cake pops, they’re DIY, the ingredients are inexpensive and to top it all off, they double up as a party favour, that’s two ticks off your to-do list! Preheat the oven to 180’c. Grease a large cake tin. Cream butter and sugar until light and pale. Add the eggs one at a time and ensure it is fully incorporated before adding the next. Mix flour mixture into the creamed butter, alternating with the crème friache until evenly mixed. Carefully spoon in the cake tin and level off the top using a palate knife or spatula. Bake 35-40 mins until a cake tester is inserted into the center of the cake and it comes out clean. While the cake cools make the cream cheese frosting. Cream the butter and cream cheese together until soft and light. Add the icing sugar and mix until combined. Break up the cooled cake into a mixing bowl and combine with the frosting. Roll into balls, insert a lollipop stick into the centre of the ball and place in the refrigerator, for 15 minutes, to chill and set slightly. Line a baking tray with baking paper. Dip the cooled cake balls into melted white chocolate and place on the lined baking tray. Sprinkle with edible gold glitter and set in the refrigerator.